J.D. Blackfoot has a vision. His vision plays out on one of the most audacious, furious, loud and imaginative pieces of psychedelia ever committed to a record. In about 22 minutes he starts with the creation, skips a few billion years (and mass extinctions) and tends to matters on Earth. From here, he proposes the now and future fate of mankind. There is birth, life, death and rebirth. However, the reborn will be wondrous beings that live and worship a pink sun. I like to think we are at the end of evolution where humankind has migrated to another world and has finally captured peace both timeless and indestructible. 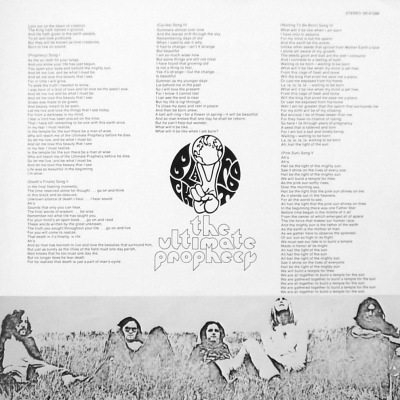 The first side of the album offers up some fine country and Southern rock which is high tribute to Blackfoot's musical versatility. We still love this record all these many years later. It does sound bit dated but what we have here is a precious artifact of the late sixties. Listening is a whole lot of fun with or without a big ganja. 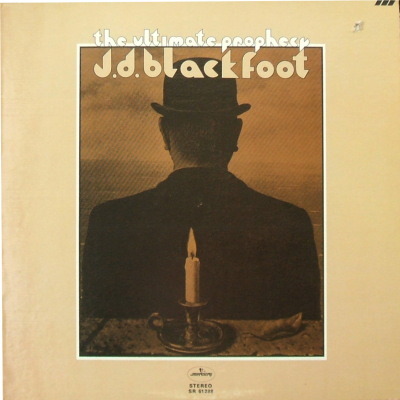 Note: JD Blackfoot went on to have an extremely creative career over the next four decades. Either we or J.D. were flying under the radar. I will correct this oversight. His albums are available on cd through amazon.com. The vendor is E Blackfoot who is J.D. Blackfoot’s wife. J.D. 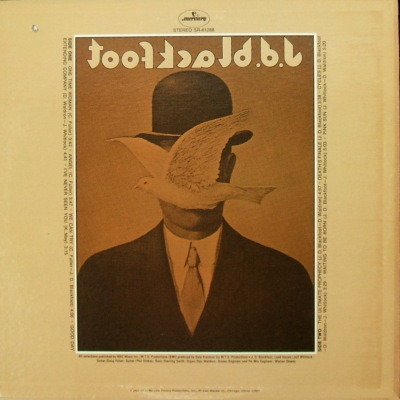 Blackfoot’s work has been "bootlegged" so buy safe. Check out the J.D. Blackfoot website. He has an interesting story to tell. The Guys at Vinyl History. Vinyl History explores music in the original vinyl format from the 1960's to the present day. Opinions expressed on this site are the reviewers alone. Copyright 2010 Vinyl History.com - Visit our feedback page for information about how record collectors can contribute to this site. - SUPPORT YOUR LOCAL INDEPENDENT RECORD STORE!